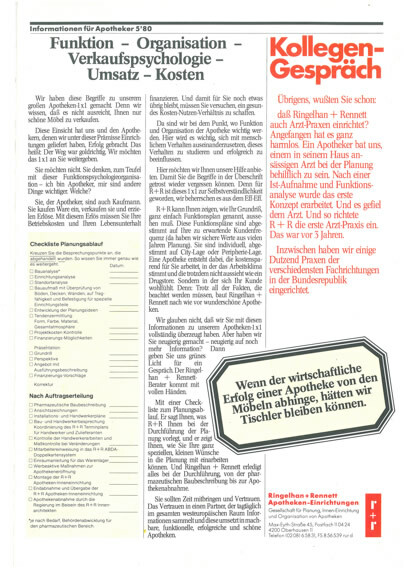 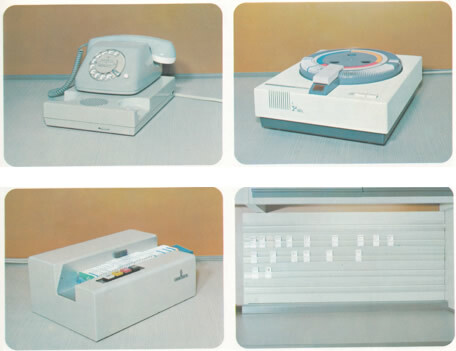 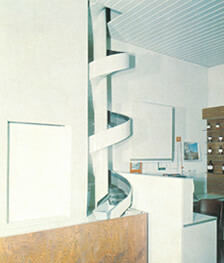 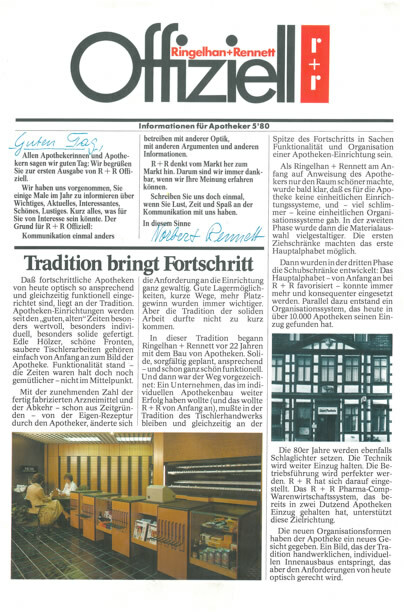 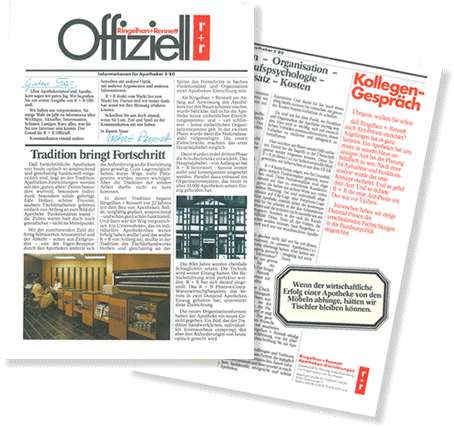 R+R opened for business at the end of the nineteen fifties in Oberhausen, Germany. 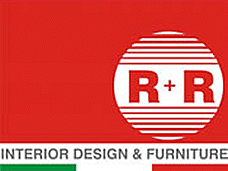 The brand carries the acronym of its founders and Ringelhan and Rennet. 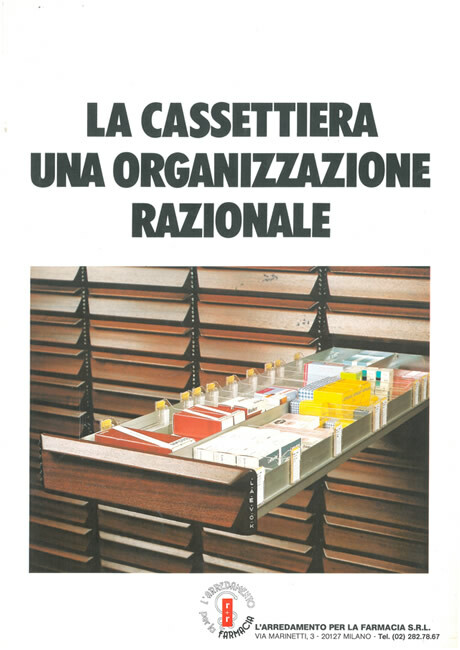 In a short time it became one of the most important in its sector expanding with new locations; in Italy, Spain, France and Switzerland. 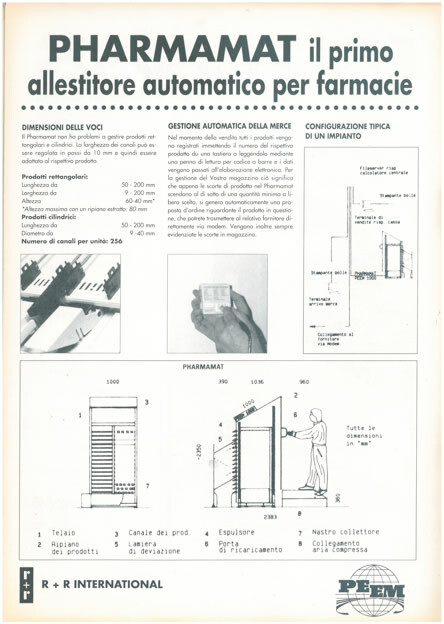 The first Italian office was opened in Rome in 1968, and successively in Milan, becoming immediately the leading company in the sector of pharmacy furnishings and decorations, optical and perfume store outfitters; with a"turnkey" formula intervening from the design to the delivery of the "made to measure"furniture. 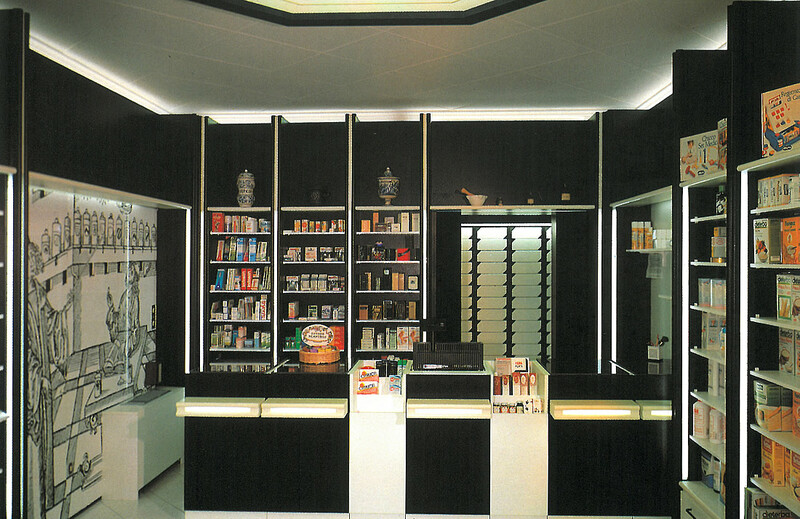 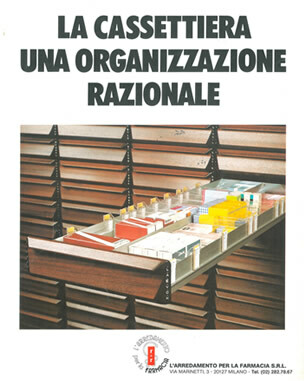 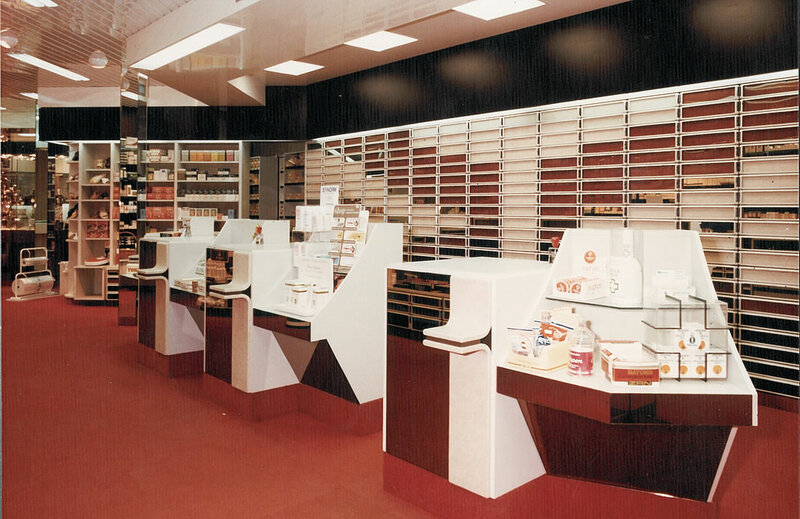 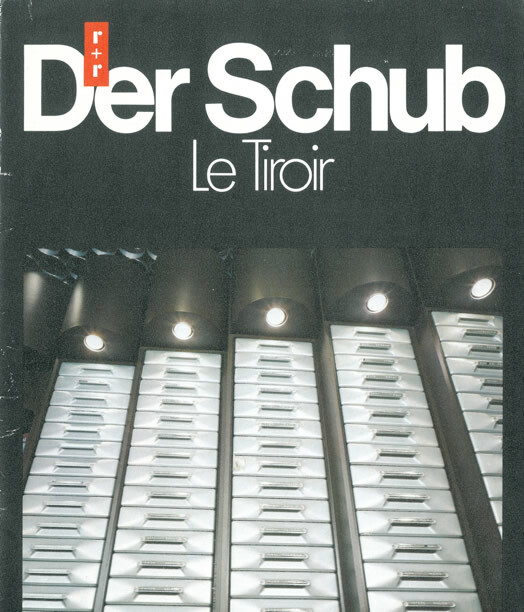 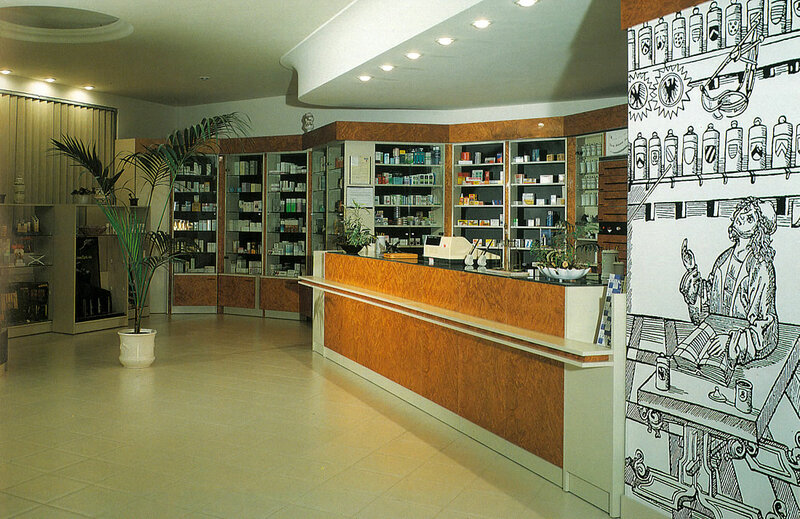 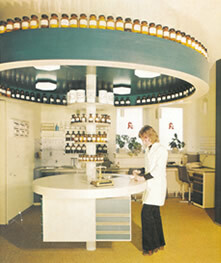 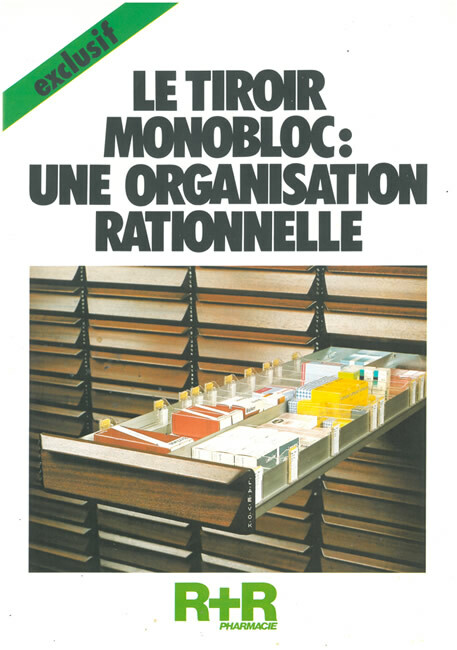 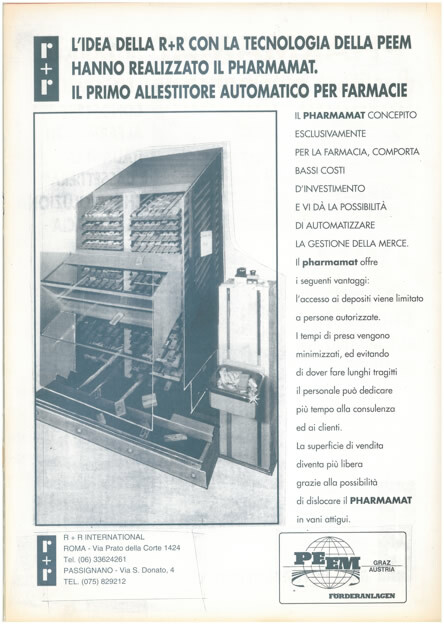 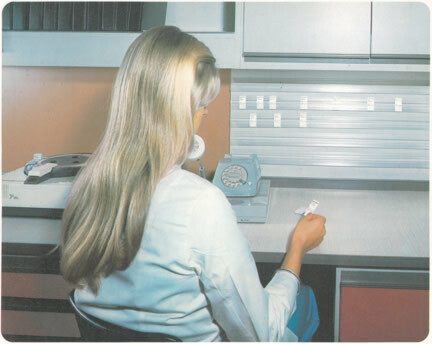 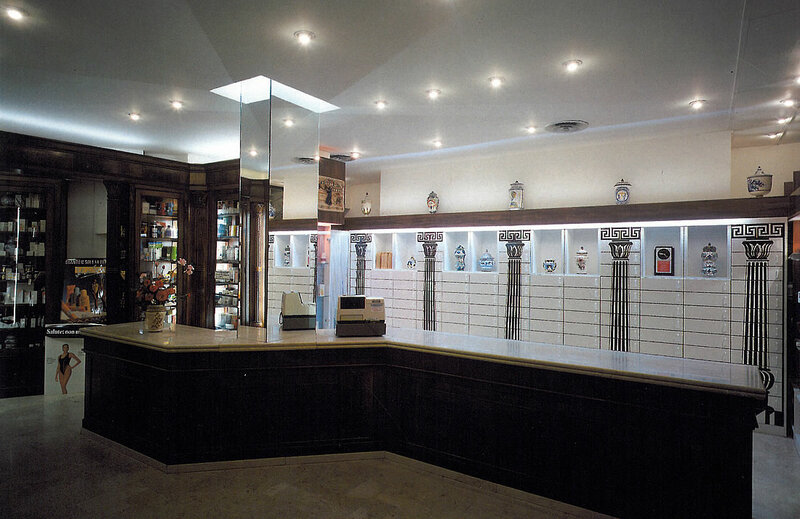 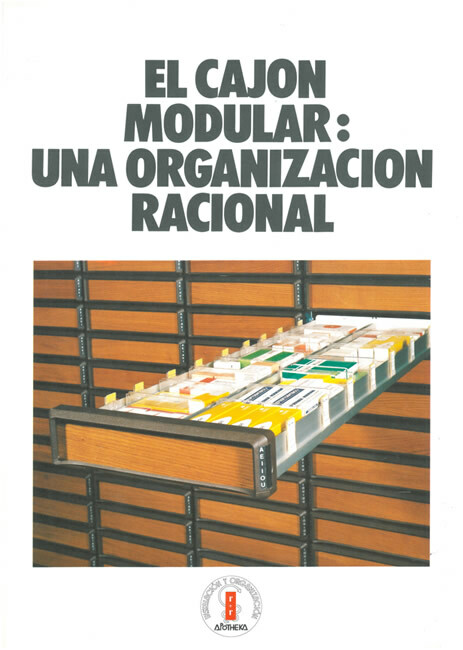 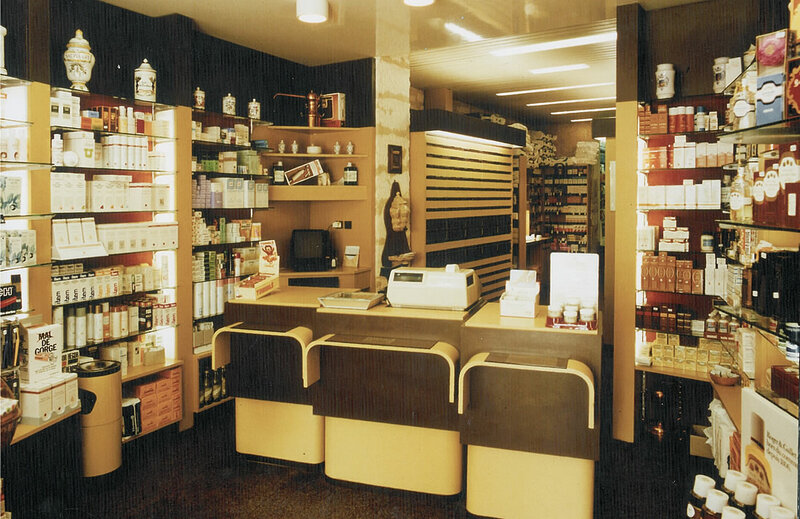 In 1971 it launched for the first time in Italy and at the same time in Spain, France and Germany the chests of drawers for drugs revolutionizing the concept of the pharmacy: a traditional pharmacy to a modern pharmacy. 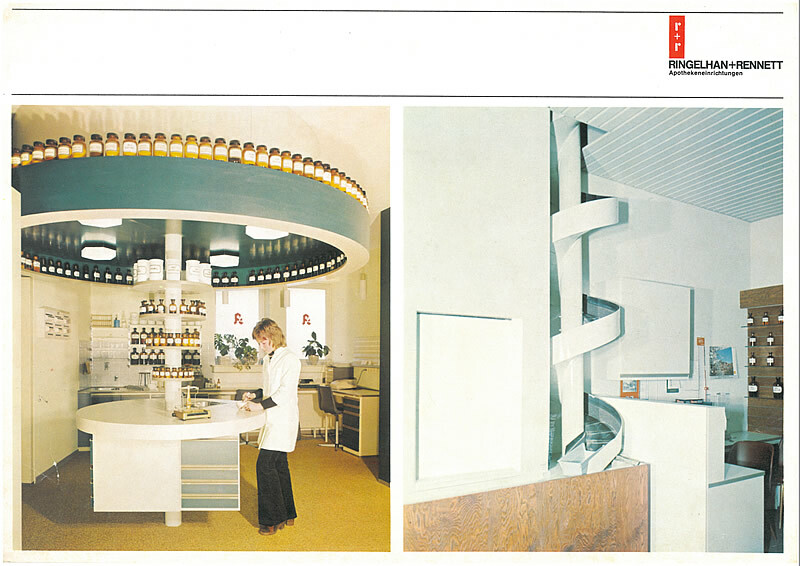 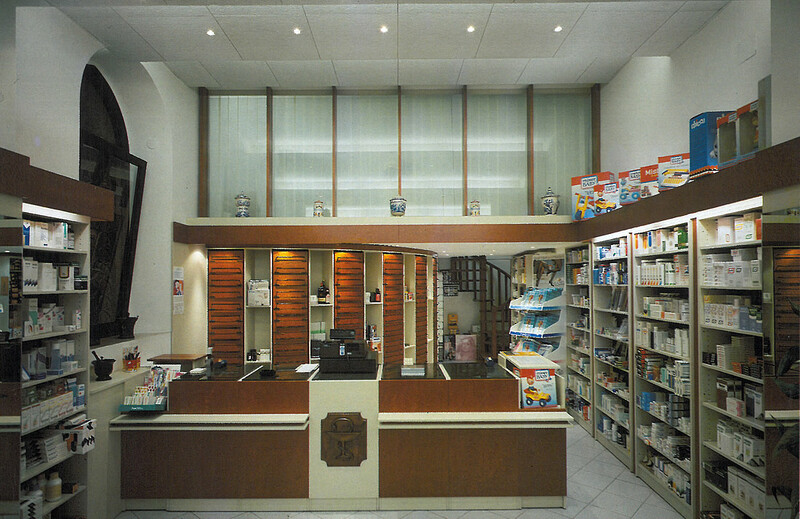 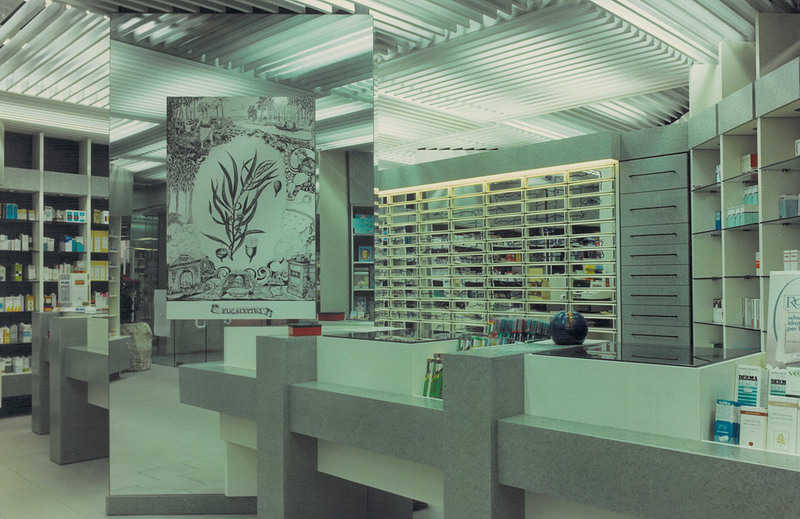 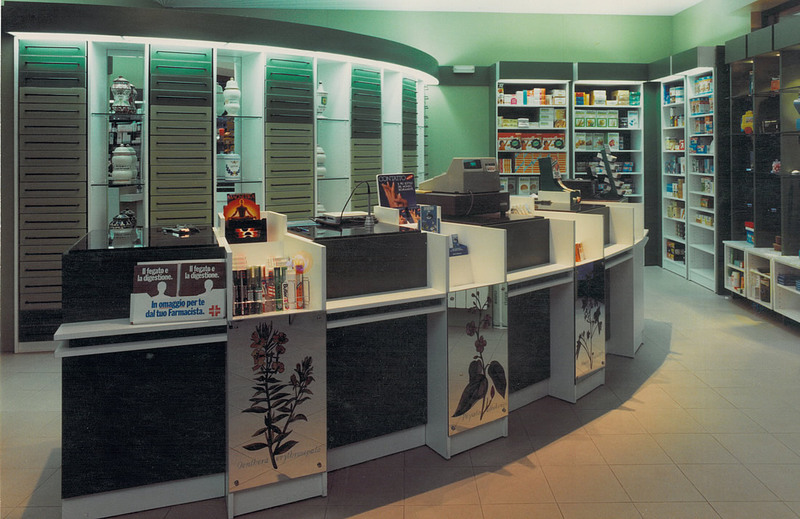 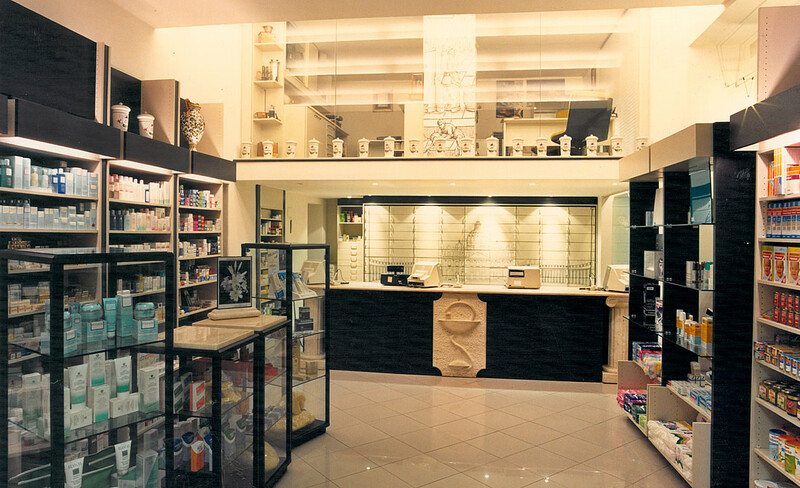 But the real news was that the Pharmacy R+R has since then totally revolutionized the pharmacy in Italy with their designs; becoming a leading figure which then inspired all the others. 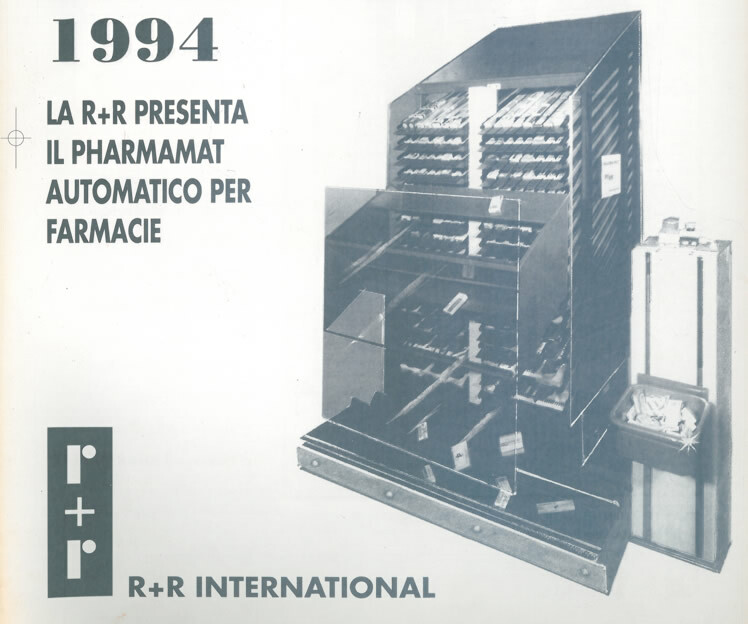 All pharmacists who visited the stand were fascinated and soon became our customers installing firstly R+R chest of drawers that many of them still use. 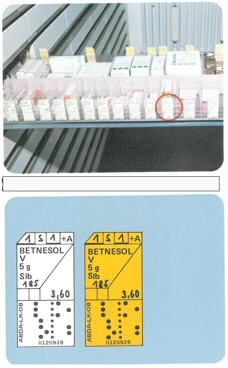 by the pharmacist to the wholesaler. 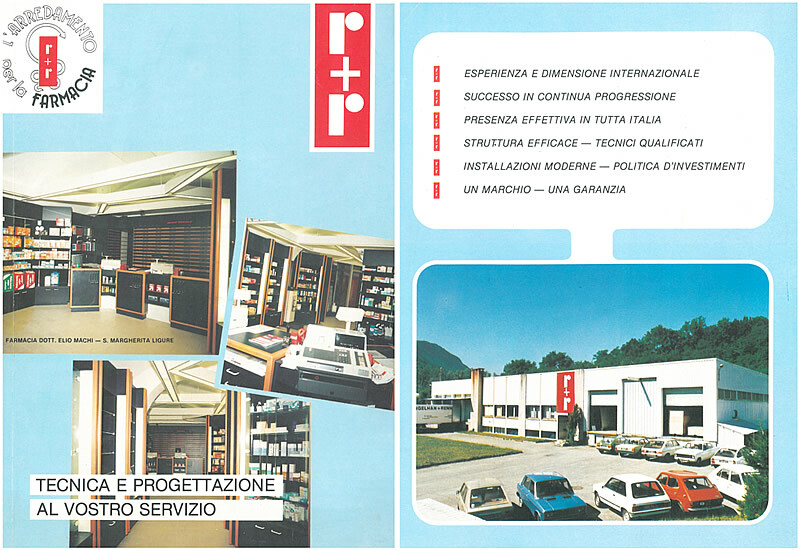 In the mid-80s, R+R broke away permanently from the German brand moving to Perugia on the shores of Lake Trasimeno, which even today, is the current headquarters of the company and since then, as always, pointing to technological innovations to improve the work of the pharmacist and to commercially revive the pharmacy.